Tablet Computers, Ofsted, and its new motto. The Telegraph has an article quoting an unnamed Ofsted spokesman as saying that tablet computers are "highly disruptive". I was surprised, as I'd never heard these computers linked with disruption, and wondered what the evidence was. I'm not sure there is any, so I posted this comment. On the matter of mobile phones in class, there is plenty of evidence that they cause disruption. They are an instant temptation to pupils to focus on things other than the lesson, and Sir Michael's comment is well-founded. This anonymous statement about tablet computers is based on no such evidence, and is a disgraceful abuse of the authority of the schools inspectorate. Who is the "spokesman"? What is his or her evidence that tablet computers are "extremely disruptive"? In which inspection reports has Ofsted found pupils not working properly because they have been using tablet computers? In fact, does Ofsted need evidence any more before making ex cathedra judgements on things it knows nothing about? Is peremptory dictatorship based on personal opinions that may or may not have any foundation in evidence a basis for school inspection? Perhaps it doesn't matter. Perhaps it is of no consequence whether or not the inspectorate retains any confidence among teachers and headteachers on the matter of its competence and ability to form judgements based on evidence. I still think it does matter. Inspectors have always been liable to make mistakes, but at least in the past they have been honest mistakes. Ofsted should have a new strapline - Oderint, dum metuant. It should employ a Latin inspector to translate this for his or her colleagues. 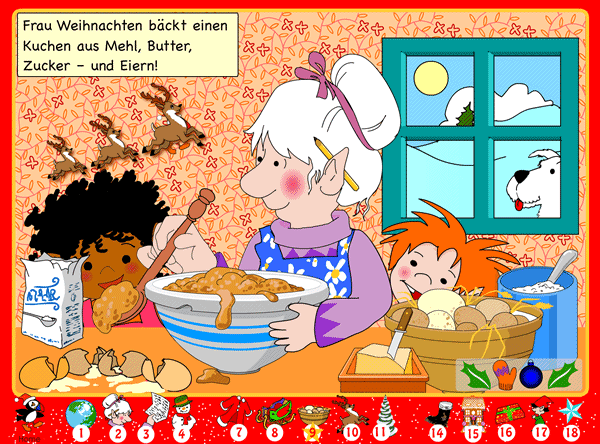 Little Red Languages Advent Calendar. Grammatical terms and language learning - Greek or English? One of the problems in restoring the place of grammar in the teaching of English has been the choice of terminology. Too often, terms developed by the twentieth century discipline of linguistics have been put straight into the school system without thought as to whether they are the most suitable for young children. Sir Michael Wilshaw compounded the error in a newsletter praising teachers for children's knowledge of the Greek terms phoneme and grapheme to describe sounds, letters and groups of letters. There is no evidence whatever to link the use of these terms with success in reading, and for some children they are a barrier rather than a help. One of these is a boy of eight, who eight months ago had severely limited language and no knowledge of reading despite extensive and expensive private tuition. In teaching him, I began by establishing a clear idea of the links between letters and sounds, and how to blend these to read words - phonics. I did not use any terminology other than normal English, and never do unless a new word is essential, as in verb. This pupil might have been able to parrot the terms phoneme and grapheme, but they would not have contributed to his understanding. Rugh Miskin's Ditties, as ever, did. There is no irregularity in them, so the new learner can practise with no distractions. What the teacher says, works. As we move to a book that uses the full range of English spelling, we need to build on this basis by explaining how 26 letters can be used to convey the 600,000 or more words that are used in English. This means adding to the child's knowledge by showing how groups of letters such as th (the Norman substitute for the Anglo-Saxon thorn, þ), le(table), and even ough, have been incorporated into the phonic base. The child can then use them as part of his arsenal to read new words. This is not difficult to do, and this brilliant animation of the Bayeux Tapestry https://www.youtube.com/watch?v=LtGoBZ4D4_E shows clearly the brute force behind the imposition of French words on English. They now amount to almost a third of the total. My pupil and his parents were fascinated by it. If you're interested, there is more on thorn here https://www.youtube.com/watch?v=M7BSAaI7AZk . The book we chose was Burglar Bill, by Janet and Allan Ahlberg. Using my explanation of the variation in the way letters interact makes it easy to explain why Janet is not pronounced in the same way as Jane - a difficult if not impossible task if you use the Greek terminology of "split grapheme". Allan is more difficult. The ll usually alters the sound of a, as in all, wall, tall etc, so he had to learn that the variation he had worked hard to understand applied usually, but not always. Finally, Ahlberg, German for "Eel mountain" is a further import. It's phonics, but German phonics, just as fruit and biscuit are perfectly regular as French words, but not English ones. We learned all of these things, and other words in the book, such as the difference between say and says, and the contraction of the voice (vowel) sounds in breakfast, by explanation, practice and quick flashbacks to establish them in the pupil's memory. Memory has been abused in education for millennia, and still is. This is not a reason not to learn to use it properly, and it is a key element in Hirsch's approach - we only know things if we can remember them (or, occasionally, remember where to find them). As it happened, the pupil had not had a book to practise with over the week, and so I was delighted that he had remembered the variations (eg say, says) that we had worked on, as well as working out new words with increasing confidence. The key lies in using the teacher's knowledge of the full range of elements in English spelling to make them clear to the pupil in terms that are easy to understand. This applies in all areas of grammar, where current terminology is an unhappy combination of words developed during the Renaissance ( eg adjective, which is short for the original term "noun adjective", ie unable to stand on its own) and inventions of twentieth century linguistics, such as "determiner", which frequently does not determine anything at all. Any grammatical terminology is better than none, but the best is both accurate and easily understood by the pupil. This is work in progress, and it is supported by the evidence from brain research on the growth of neural networks. The old educational idea of linking new material to things children already know is entirely consistent with this, and introducing ideas abstracted from things the child does not understand, does not. I discuss the approach I developed for older children who have problems with English in this peer-reviewed journal (not that I hold any brief for peer review in education.) There is more to be done, but I'm sure we don't need Greek for young children, far less term such as "determiner" which are even less informative and transparent than those they have replaced.